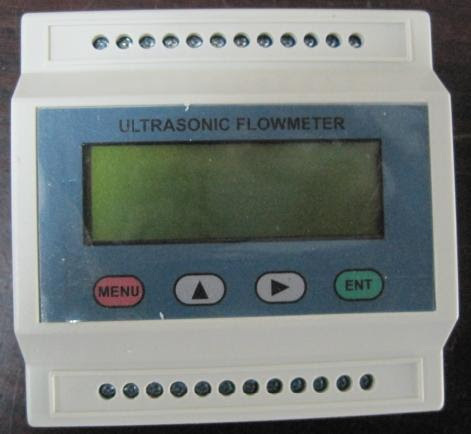 Dalian Ultrasonic Flow Meter china was established in 1996. Our firm is a high technology company which specializes in design, manufacture and development. TDS-100 series of ultrasonic flow meters / calorimeters / water meters are widely used in the oil, chemical, metallurgy, water conservancy, heating, and boiler industries. Our products are exported to the United States, Europe, Australia, Japan, Korea and Southeast Asia. We have achieved a sales volume of over fifteen thousand sets per year. 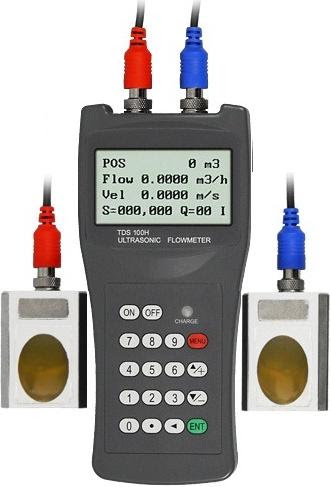 Hand Held Ultrasonic Flow MeterTDS-100H Hand Held ultrasonic flow meter is designed to measure the fluid velocity of liquid within a closed pipe. It is a hand-held measurement system which is both easy to use and to install. 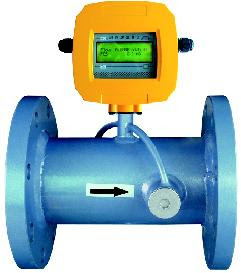 The TDS-100H ultrasonic flow meter operates according to the difference in the transit time measured. Transducers are vertically placed on both sides of the measured pipe. Sensors are placed on the pipe and fastened by means of a flange. The display will quickly show the flow velocity. The TDS-100H can be used for Carbon steel, Stainless steel, copper, PVC, Rubber tubes. The TDS-100H can measure many type of liquid such as Water, gasoline, feul oil, kerosene, milk, crude oil and soon. 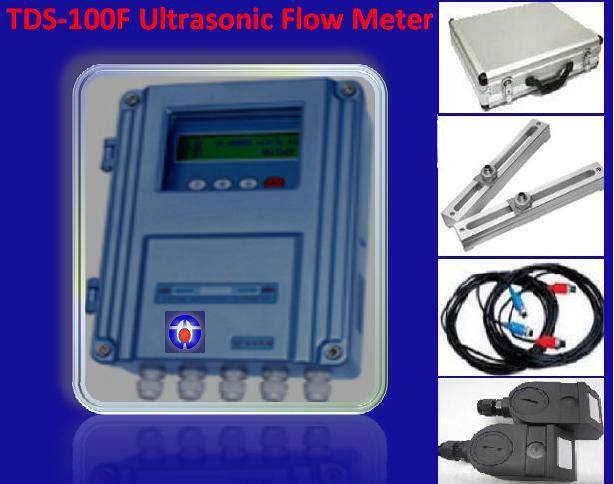 TDS 100P Ultrasonic Portable Flow Meter /heat meter is suitable for any industry application of fluid flow/heat online calibration and measurement good at easy operation,high accuracy, good consistency, online printing, longer battery powered time, heat measurement, and so on. 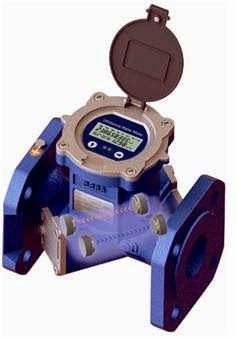 TDS-100F series ultrasonic flow meters are applicable to measure liquid flow in industry application mainframe include wall-mounted standards type, wall mounted ex-proofs type, panels type and native place displaying(F4).sensors include clamp on type, insertion type, inline type. TDS-100Y ultrasonic flowmeter / heat meter:it make the mainboard of TDS12 or TDS18 connect to a 20 lines 4 keys parallel port keyboard monitor, then encapsulate them in a sealed enclosure, realize on-line display and operation on spot.it solved the problem that owing to the reason of people that make the measured pipe parameters inaccuracy, caused errors that lowered the measurement accuracy during the period of installing the clamp-on type and insertion type transducers. it has the advantages of high accuracy, wide measurement range, no pressure lost, easy installation,no need to set parameter, etc. it is the future for the flow meter and heat meter. Ultrasonic Water MeterThe meter uses a unique ultrasonic propagation phase difference measurement techniques and the latest development, with high precision, low power, wide measuring range ratio, stable and reliable, and other notable features. On the structure using the components IP68 scheme, that is, each component has reached IP68 degree of protection, even if the water meter chamber can guarantee long-term work. The series solution to the traditional water meter idling, not measuring low flow problems. It can be widely used in urban water supply pipes, the total household water table, water water monitoring, irrigation, but also for a variety of industrial field. TDS-100M style flow/heat module(18 version), added 4 keys based on previous version,realized to set parameters on spot,especially suitable to use in the mating project of system integrators,it is the first choice of flow rate and heat measuring meters for network monitor items of water conservancy and heat supplying system etc. 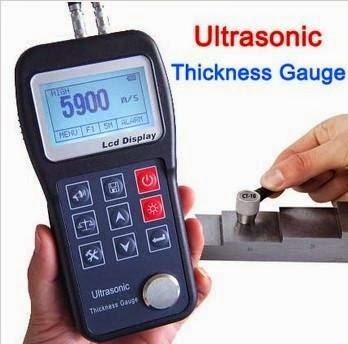 Ultrasonic thickness, ultrasonic measuring principle, applicable to make the ultrasonic wave propagation velocity at a constant inside and the back of the measurement obtained from a variety of reflective material thickness. This instrument can be a variety of sheet metal and machined parts for accurate measurement is another important aspect of the production equipment in a variety of pipes and pressure vessels for monitoring, monitoring the degree of thinning after they are subject to corrosion during use. It can be widely used in petroleum, chemical, metallurgy, shipbuilding, aviation, aerospace and other fields. 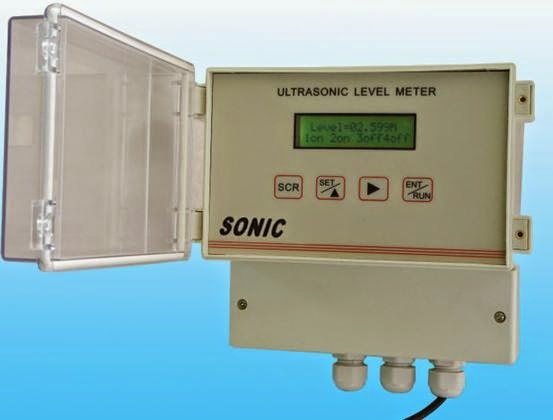 Ultrasonic Level SensorTDS-200 ultrasonic liquid (material) level meter is an intelligent non-contact liquid (material) level measurement instruments. 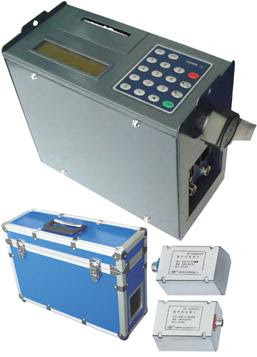 Products with automatic power adjustment, gain control, temperature compensation, the use of advanced detection and computing technologies, there is suppression of interfering signals, in order to fundamentally improve the measurement accuracy of the instrument, to ensure that the real measurement results. Level products can be widely used in a variety of liquids and solids height measurement can also be used to measure distance.